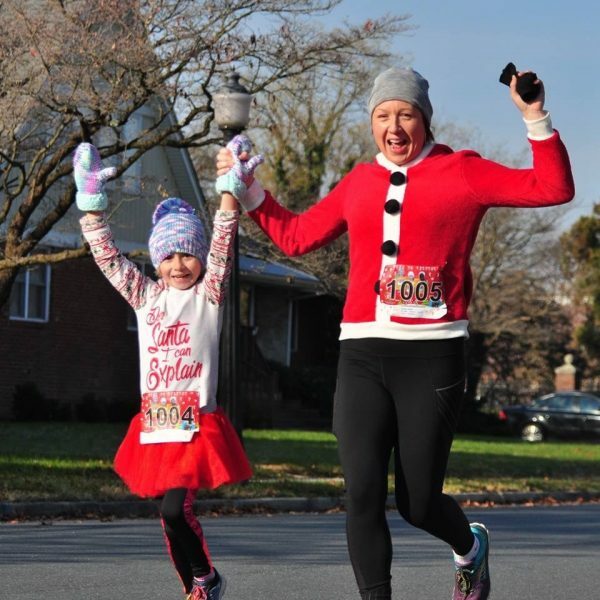 As has been happening for the past few years on the first Saturday in December, the Candy Cane Dash crowd invaded Baker Park for the ultimate in kick-off the holiday season runs! There were scads of costumes and smiles to go around, with plenty of coffee and hot chocolate to take the edge off the chilly day’s dawning. 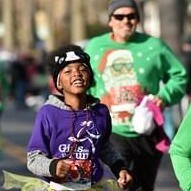 There were more than 250 Girls on the Run (GOTR) program participants bedecked in purple program shirts who ran the Candy Cane Dash as their end of GOTR Fall Season celebration. The 10-week program leading up to the Candy Cane Dash prepared these 3rd through 8th-graders physically and mentally to finish what for many of them would be their first official 5K. They were accompanied on the Baker Park 5K course by running buddies who lent their support and supervision throughout the run, ensuring that none of the GOTR Girls would be alone on their journey. 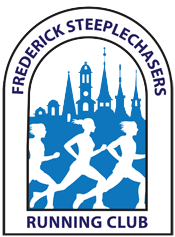 Also on the 5K course were more than 600 community runners. Some were speedsters trying to knock out a PR while others just ran for the joy of being a part of such a festive atmosphere, with many decked out in the wildest and wackiest Christmas costumes that you could imagine! There were snowmen and candy canes. Good elves and bad. Running strollers converted into sleighs, in one of which would ride our beloved friend John Godinet, pushed and pulled along by his “reindeer” friends! For the first time at the Candy Cane Dash, we had several Athletes Supporting Athletes (ASA) athletes participate. ASA empowers individuals living with disabilities to train and compete in mainstream running and triathlon events. A team of “Wingmen” pushed each participant along on the course, enabling those incapable of competing under their own power to take part in events throughout the region.